As a young student in Paris, O'Connell was first enamored of the intriguing artistic imagery of Augustine's works. The imagery continued to impress him as his scholarship continued. Now, after many years of research and regarding study on the topic, a thorough treatment of Augustine's "image clusters" is revealed in this volume, Soundings in St. Augustine's Imagination. That St. Augustine's writings are empowered by use of poetic imagery is of interest to readers of philosophy, theology, as well as language. In this work, Augustine's imagery is used as a basis to shed light on some of his thought which had previously puzzled the scholarly world. 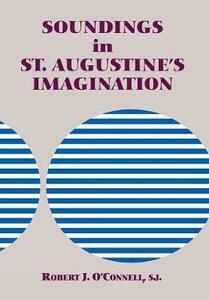 Soundings in St. Augustine's Imagination is an imperative addition to any philosophical library and a rich reward for all intrigued by his dramatic use of language and metaphor.